As the developer Nakheel plans to open The Circle Mall in the middle of the Jumeirah Village Circle with shops, restaurants and entertainment options, residents will soon enjoy some of the urbanest lifestyles that Dubai can offer. The design of the villas in Jumeirah Village Circle shows comfortable, contemporary living where families feel totally at home. The villas here come with their own gardens, some come with pools and depending on design, some of them may even have balconies. 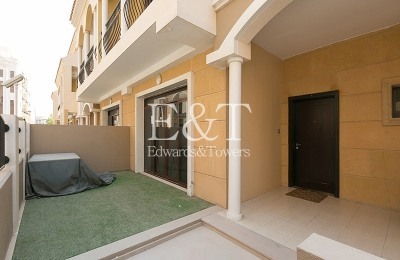 Rent a villa in Jumeirah Village Circle- Jumeirah Village Circle - one where the community is all encircled, welcoming and is a place you will love to come home to. The beautiful design of the area with its circular form and the way all roads lead to the center where a community centre will be built is distinctive. All villas are built with top-notch finishing and with countless amenities being added every month, the Jumeirah Village Circle villas for rent become even more desirable.